Killer Characters: Can you keep a secret? Cautiously revealed by Lance Dewitt, Harrison Falls’ dreamboat librarian from Victoria Abbott’s book collector mysteries, just before he left town in The Wolfe Widow. Lance Dewitt here. Some of you might think a reference librarian’s life would get a little dull sometimes, but that has definitely not been my experience. Since I started at Harrison Falls Public Library's Reference Section, reference questions are up fifty percent. Mind you so are fires, kidnappings and shootings in this time, so it’s all in how you finesse the numbers. But I digress. There is a line up-at my desk every day, I kid you not. Today, straight at the head of this line is Jordan Bingham. Usually I am glad to see her, not just because she is my close friend—and gorgeous—but because she always presents me with a challenge. But not today. This time Jordan is trying to find records of a Muriel Delgado or her family, and as always Miss Bingham has been quite vague with the details. Something about an unwanted house-guest at Van Alst House and a hint at bad news about her job. I managed to point Jordan towards the town records and make her blush, all the while not letting on I am keeping something very important (and really upsetting) from her. Luckily, my more assertive reference users showed up and made sure that there wasn’t too much time to chat. That was a relief. I would never want to hurt Jordan, or break her trust, but even librarians have secrets you know. I can’t blurt out this one so I have to keep my distance. And then I will have to do what I have to do. Psst! 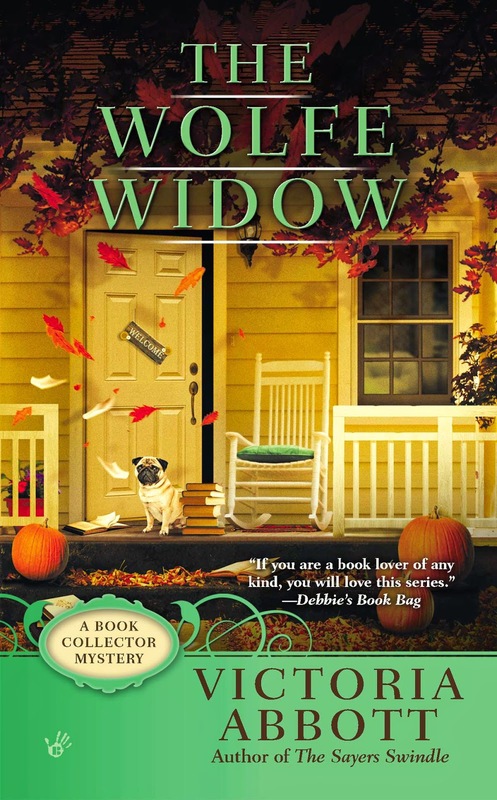 It's no secret that The Wolfe Widow will be out on September 2! But you can get the scoop and pre-order it now. Also available in Audio: The Sayers Swindle. We can't keep that under our hats. You didn't exactly tell us the secret, Lance, so we can't exactly divulge it... Poor Jordan, though, sigh. Wild horses couldn't drag it out of Lance, who, by the way, appears to have left town. Oh come on, give us a hint. I'm looking forward to reading more. That Lance would give a hint if his life depended on it, but Jordan is in for a rough ride when none of her friends are around and the going gets rough. Eep.